The number of companies offering telecommuting is skyrocketing. If you think about all of the companies that have merged over the years, many moved their location to a completely different state. As a result, people had to uproot their families if they wanted to stay with that company, which meant selling a home, shopping for a new home, changing all types of things such as insurance, and driver’s licenses, making new friends, and so on. Seeing how expensive and unproductive this type of practice was, companies have begun to build a telecommuting option so if the business moves, employees do not have to. What Wild Blue Satellite Internet for your office offers is a unique but powerful solution for situations such as this. If you find yourself in this or another situation where telecommuting would be the answer, you can promote both telecommuting and Wildblue satellite internet service to your employer. For example, you can explain that using satellite internet access with advanced Wildblue equipment and service can prove highly beneficial. For instance, the company allows to conserve energy, help preserve the environment by reducing the amount of land used, promote safety by cutting back on road travel, reduce stress, keep employees within closer proximity of family, reduce job-hopping thereby, increasing the level of productivity. Although, not everyone wants to telecommute or has the opportunity to do so, people living in rural areas, along with the employer, can enjoy a long list of incentives. If you live in the 48 contiguous states but feel cheated because all of the good jobs are too far away, take time to explore companies that offer telecommuting. Monthly price of just $69.95 for the Select Pak and $79.95 for the Pro Pak, which is a cost absorbed by the company, not you. Wildblue satellite internet also offers fast download and upload speed. For download, you would enjoy between 1Mbps and 1.5Mbps and for upload, between 200Kbps to 256Mbps, depending on the package chosen. If you are concerned about keeping email for different company employees, Wildblue thinks of everything, offering between 5 and 10 email addresses, each with 25Mb capacity, and the option for addition email addresses. 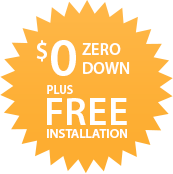 You will also enjoy free spam and virus filtering and one year free anti-virus software. If you have concern about web space, Wild Blue thought of this too, offering between 10 and 20 Mb, again with the option of purchasing more. 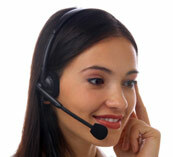 Other free features provided by WildBlue include newsgroups, the WildBlue portal, and 24x7 technical support. Although, there is an initial cost against Wildblue equipment and installation, this too would be absorbed by the company. As you can see, telecommuting can become a reality with Wildblue. Just imagine the possibilities that this wonderful solution offers. Rather than working menial jobs near your rural home, you can go to work for Fortune 500 companies. opens the door of opportunity wide open! When looking for a new job or career, look at all your options. In this case, if you find a job that you are qualified for, contact the company and ask if they offer a telecommuting program. If not, step out to ask if they would consider it. You would be amazed at the companies that offer telecommuting. To get ahead in life, all you need is Wildblue Communication system. Some of the industries that offer telecommuting include airlines, telecommunications, banking education, engineering, government, and the list goes on. In fact, current more than 1,420 employers around the country offer telecommuting jobs, which represents 2.7 million telecommuters. With WildBlue, you can be one of those people – remember, the sky is the limit!